There is no sweeter sound than doorbells and foot traffic to a business owner. Getting customers through that door, however, can be a challenge. My Media Marketing's All-In-One web-based solution can help you. My Media Marketing can help your business get on the main street through a variety of today’s most popular communication channels. Whether your customers’ preferred channel is mobile text, email, social media, instant messenger, or promotional alerts will reach and engage your entire audience and keep those cash registers ringing. 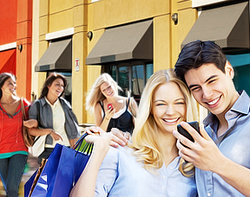 Vitalize your store on slow days by driving traffic virtually on-demand. Alert your customers to time-sensitive deals, like one-day promos, by scheduling SMS or MMS text-message campaigns to mobile phones. Also spur word-of-mouth marketing through simultaneous updates to your Facebook and Twitter news feeds. Paper coupons are a thing of the past. Maximize your return by updating your coupon system! 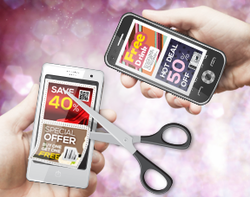 Mobile Coupons offer customers modern convenience, as the coupons are accessible right from their handy mobile phones. 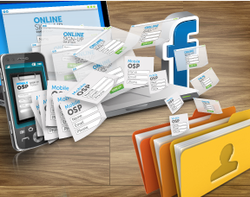 Incorporate barcodes from your store’s PoS system and promote on social media with Facebook Coupons. Create QR codes that customers can scan to instantly get a coupon. Or send printable coupons through email, the most familiar way to get coupons online. Informed customers mean an engaged customer base, which translates to increased sales. Broadcast news about upcoming sales and product releases through email announcements packed with pictures or videos of new product lines. 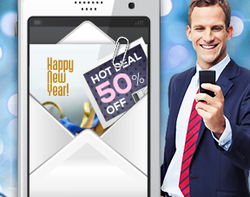 Send mobile eCards to your customers’ phones to celebrate their birthdays with a special promo. Fuel hype online by spreading the word virally on social networks. Customers want to stay on top of the latest trends. That’s a golden opportunity to grow your customer database. Utilize a variety of ways for your customers to sign up for news and deals through Mobile keywords, Online Sign-up Pages, and Facebook Sign-up Pages. Even customize campaigns to collect more detailed data, like date of birth, for future birthday promotions.